Teaching any age group can be a struggle. Between getting information across, keeping attention and managing classroom politics, there’s much to do to ensure that your class goes off without a hitch. In the hunt for that kind of educational perfection we employ all sorts of tools, from interactive whiteboards to visual aids which enhance your lesson, but there are few as essential a tool for teaching in the modern age than headphones. Transform libraries into communal learning spaces by introducing heavy-duty headphones, allowing students to listen to audiobooks, study privately on tablets or laptops or utilise computerised learning software. Encourage young readers to stay on track by offering different, easier to follow stories during story time – played individually through headphones. Keep IT classes quiet by supplying students with headphones so they can complete their work in isolation, without having to suffer through other students’ noise. Are you going to require headphones with microphones? These can be useful if students are communicating with each other, i.e. working on a project or video calling another class for collaboration. Will the headphones survive your classroom? Typical headphones aren’t designed for the rigours of heavy classroom usage. 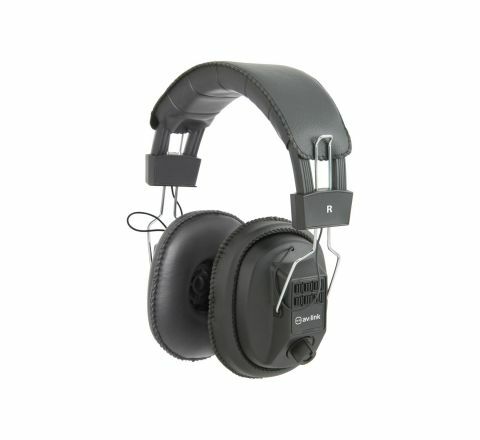 Do the headphones support individual left/right ear volume control for students who are hard of hearing? Will your headphones be easy to clean and remain free from germs which might affect your students? Are the headphones you’re buying suitable for the class you’re teaching? The fit and cord length requirements will typically be different for younger students than they are for older students, so put careful considerations into them. Are the headphones designed for educational use? Over the years we’ve helped countless educational establishments with their headphone needs and, by now, we’ve just about seen it all – even educational establishments asking students to bring in their own headphones! Needless to say, this either singled out children without headphones at home, encouraged competition and bullying about who had the ‘best’ headphones or resulted in students breaking their own headphones. It’s not the sort of situation you want to find yourself in, and with KPMS’ superb range of educational headphones, it’s not something you need to worry about. Browse our range today or get in touch to find out how we can help you teach to your full potential. Previous PostIs the Sharp PN-Q601 Right for You?